Tunze is at it again. In May of this year, the Tunze Turbelle nanostream 6045 will be controllable. 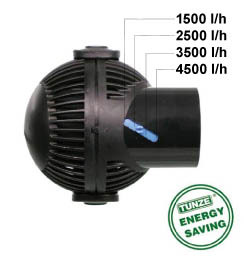 Tunze is adding flow control for their popular powerhead so that it can be used in tanks as small as 10 gallons. This added versatility will allow hobbyists with nano tank, adjust the flow and placement, and achieve their desired flow rate. This upgrade will allow for consistent wide flow at all available flow rate. Many mods have been used in the past to try to play around with the flow pattern and it’s intensity, but it looks like Tunze has taken the right steps, and made their nanostream 6045 even better!! We can’t wait to see these babies in action.